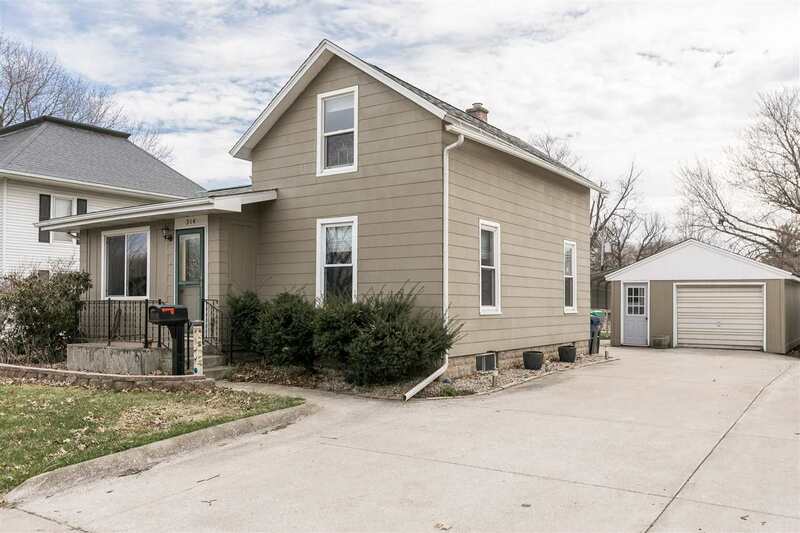 Enjoy this nicely updated 1.5 story single family home! Main level offers a convenient floor plan with 2 BR & 2 BA. Second floor also includes 2 BA.Tons of updates throughout the house such as all new kitchen, water heater, light fixtures, carpet, laminate hardwood floor and garage roof. Also furnace, roof, windows and retaining walls were replaced recently. 1 car garage with a carport for extra parking. Located just 6 miles off of I-80 with an easy 20 minute drive to Iowa City or Muscatine, Iowa.